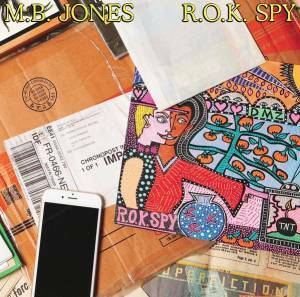 The story behind this song and the whole album R.O.K SPY could be classified as "Top Secret", as it documents the stay of a former US special agent M.B. Jones during his mission in Republic of Korea. Recorded in Busan, in the Autumn of 2017, the songs are bursting with rich influences from experimental, disco, jazz and pop music as a background to genuine, emotive lyrics (in English and Korean) and possibly encrypted political messages. "Pusan Perimeter" is the first track from the album, provoking a fun mind puzzling feel and intention to hear more, with it's boogie rhythms and funky vocals. The bizarre names, playing with genres, even mentioning Arthur Russel as a musical reference, make you question if this is just a cool artistic story or they are based on real events? It's been released on a new label DRAMA under Antinote - check the summer paradise Marimba Theme by D.K. shared previously.